The life of a single mom is gruelling, but we don’t have to tell you that. Whether or not you’ve been single for a while, you’ve decided it’s finally time to get out there and take a dip in the dating pool. Online dating has been tremendously successful in pairing people in long-term relationships, but like any good thing in life, getting there takes finesse, confidence and patience. Read on for the single mom dating advice that will give you the edge to balance your life and find happiness. Casual dating is time consuming and can be difficult if you’re a single mom. For this reason, the healthiest choice for you and your child is to seek out a relationship that will last. Start by performing an honest self-assessment. Ask yourself why you want to date. Do you want something easy and breezy or something more serious and long-term? Do you want someone to help you with your busy life? Are you seeking companionship? This time in self-examination is time well spent for you and your child. As a single mom, your first priority is your child. To ignore their needs by spending too much time on your online dating pursuits is harmful to you and your child. Be smart and schedule your online time around your child’s schedule – when they’re in school, in bed for the night or anytime they aren’t around. Consider joining a lesbian dating site that does the matching for you. Compatible Partners, a site devoted to gay and lesbian dating, has members complete an extensive personality profile to easily match you up with compatible dates. This saves you the often-exhaustive time of sorting through hundreds of profiles. She sounds too good to be true – and guess what? She is! If you know you’re the type of person who can easily fall victim to these scams, read our more in article that will help you recognize if this is the real thing or the real scam. If you find yourself becoming frantic during your dating efforts, it’s time to stop and focus on taking care of you and your family. When you become crazed, your child’s anxiety levels will rise. They may act out, become withdrawn and suddenly do badly in school. Your child is your first priority and you owe it to them to be a healthy mom. Do not neglect your loved one. Be patient, it’s all a matter of timing. Our sound single mom dating advice is to avoid the frenzy of talking to multiple contacts. Instead, focus on one or two women you feel really drawn to. Once you’ve found someone you want to know more, and you’re sure she’s not a scammer, beware of a desire to take things too fast. Even as you work slowly to build a solid relationship be also prepared for the emotional roller coaster rides that come when two women forge a union together. Remember, you are not only building a relationship, you are building a family. Spend a lot of time explaining things to your child, especially if this is your first lesbian relationship. This multiplies if you were in a heterosexual relationship before and the man you were with was also your child’s father. Don’t try to hide your love life from your child, be honest and ask for help if needed. Spending time and money on a few visits with a therapist is an investment worth its weight in gold. When you fall in love, all you want to do is be with the object of your affection. You are so excited to finally feel passionate again and have those butterflies in your stomach you forgot even existed. But while you’re being swept off your feet, make sure you are not also swept off your child. Your children come first and when you take away the time they need and deserve, you can end up hurting all of your relationships. When you feel the time has come for your child to meet your prospective partner, your job is to plan it cautiously while keeping things cool and casual. Your date certainly knows you have a child, and if she doesn’t, then you should perhaps question your relationship. She may also have children, which could make the introduction even more complicated. As this subject is quite complex, consult with your close friends or read through professional literature to feel better equipped for these sensitive situations. The match.com magazine, Happen, offers numerous articles that are chock-full of single mom dating tips. As a single mom, you often find yourself multi-tasking, juggling between work responsibilities, house chores and raising your child. Your time is precious and you want to be certain that your online dating site is using all the right features to find you a compatible match without spending hours browsing through profiles. Remember, when you do find that special one, and you will, make sure that your child is always in the picture, getting the attention they need, so your life stays in the right balance to keep everyone involved happy. Excited to get started? 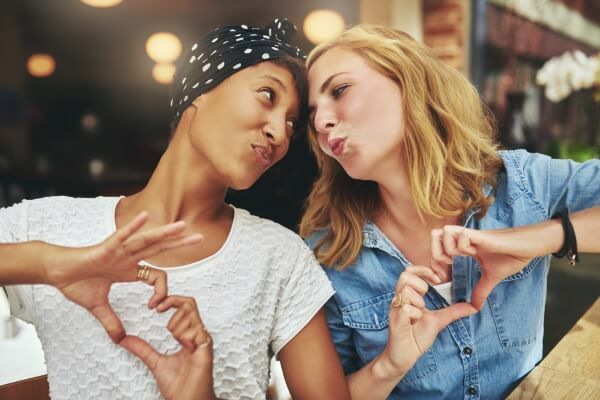 Read our Hot Tips For Lesbian Ladies to get great ideas for that first romantic date.